Waterfalls - Free Photoshop Brushes at Brusheezy! How do i use them on cs5? 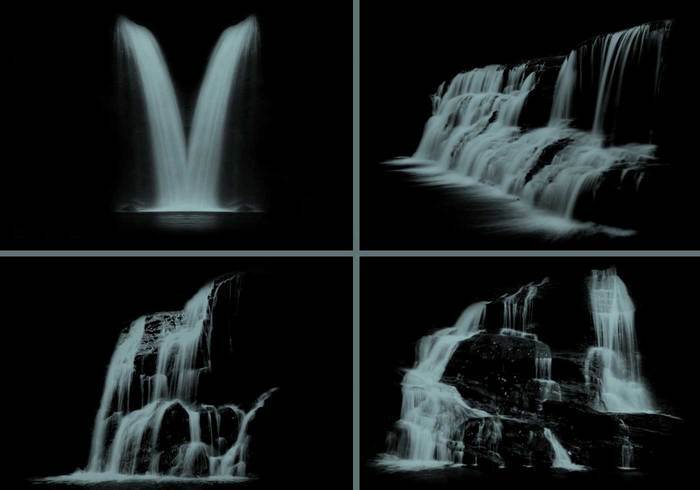 Thank you very much for the waterfalls. Very beautiful! work! Just what I was looking for. Thanks again. Thanks, but I'm really sad because I can't use them in photoshop CS5. It says that it can't load the brushes because the file is not compatible with this version of Photoshop. Is there any thing I can do to make them compatible? Great looking brushes. I haven't used them yet, but I'll let you know. Thanks for sharing! sweet ! Im going to have fun with this thank you! love this brush!! thanks for sharing!! its awesome! What you're doing is definitely worth it, thanks a lot! I love them...thanks so much for sharing them...beautiful! Very preaty brushes! Thank you! I linked back here to u not sure if u can see tho cuz i posted to my facebook and u prob have to b a friend to view my pics but u can try anyway! I've been looking for something like this FOREVER! This is fantastic, thank you! oooh wow! so pretty! I can use this in one of my pictures i dont have a background for :3 Thanks! I'd say you were heading in the right direction lol! Thanks! these are awesome brushes. Thank you so much for letting me use these. very nice set of brushes. Can save a great deal of time using these. thank you! Another Good Job, 5 Stars For You. Wow..just what I needed. A big thanks for the brushes! una belleza. Grandioso trabajo.. Gracias por dar ! Can't wait to try these - they look spectacular!